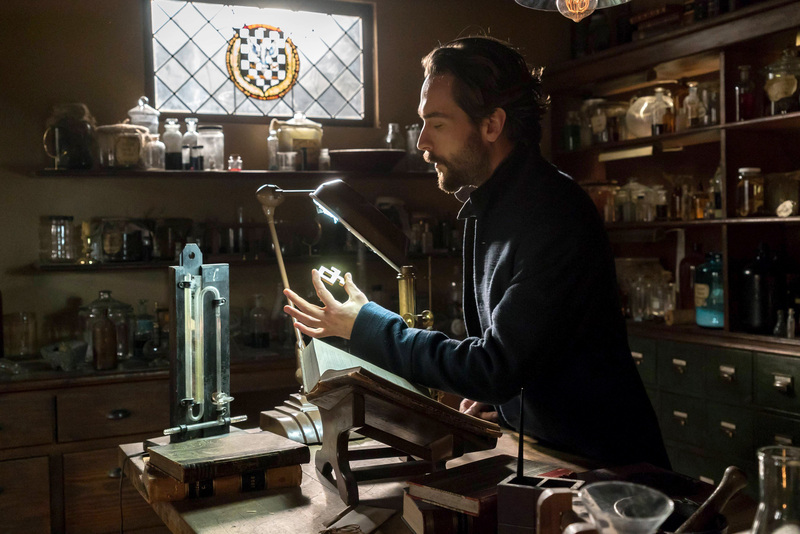 SLEEPY HOLLOW 3x14 PHOTOS: "Into the Wild"
Abbie and Sophie are about to have a team-building day from hell on FOX’s Sleepy Hollow. Literally. The March 11 installment, titled “Into the Wild” will see Abbie and Sophie coming face to face with a monster that may finally blow their cover with Reynolds during an FBI team-building day. Meanwhile, Jenny and Joe find themselves in possession of something precious and Crane discovers that the symbol from the Catacombs may be more important than he realized. “Into the Wild” airs Friday, March 11 (8:00-9:01 PM ET/PT) on FOX. Catch just-released photos from the episode in our gallery below. Guest Cast in “Into the Wild” includes Peter Mensah as The Hidden One; Jason Looney as Robbie Malone; Roy McCrerey as Hans Christensen; Victor Turner as Blake and Stephen Martin as Dr. Hammond. Follow @ScreenSpy on Twitter | ScreenSpy on Facebook for more Sleepy Hollow scoop and interviews. SLEEPY HOLLOW: "Into the Wild"